I die… Rachel Zoe’s high school year book photo. Check out those bangs! Last season’s Project Runway winner Seth Aaron (who is awesome and just happens to be from Portland) is debuting his line at Portland Fashion Week in October. I am definitely going to have to check it out! 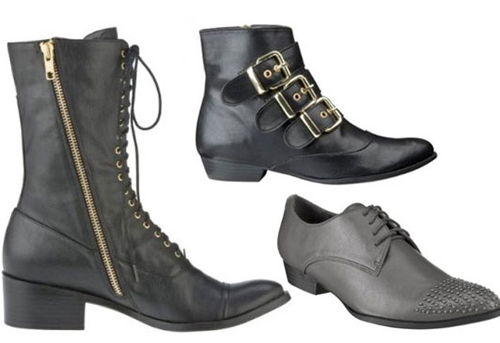 Target collaborates with T+P designer Dolce Vita on a new shoe line. They will be focusing on leather this fall, featuring a fun motorcycle boot, a military-inspired oxford and other shoes. MAC makeup cancels controversial Rodarte ‘Mexican inspired’ line. Check out why here. Real Simple magazine features T+P designer Sanctuary! Millionaire Matchmaker’s Patti Stanger and Elle’s Joe Zee team up to create the perfect date looks! Get ready to have the Kardashians invade your home a little more! They signed on to launch their own line of home goods. 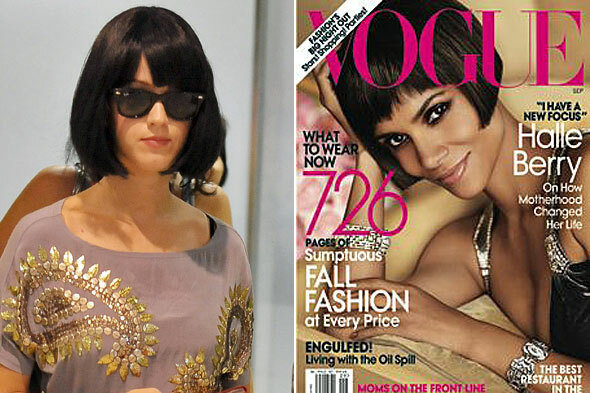 Fall’s hot hairstyle: the Flapper Bob? Check out celebs who have done it. Happy Birthday to Betsey Johnson who turned a fabulous 68 this week! Have a job interview in the fashion industry? Check out this and more guides for what to wear to creative and corporate job interviews! The Everygirl’s guide to fall’s top styles. Also, speaking of interviews J needs a new daytime gig. We’re super impressed by the effort she puts into her blog everyday, just imagine what she could do for your company. 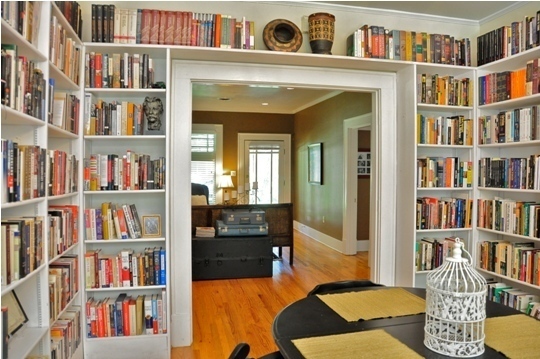 Loving this Dallas, TX home interior featured on Apartment Therapy this week. Makes us just want to curl up and finish off our summer reading list this weekend. Hot, late summer weather wreaking havoc on your hair, check out this Daily Candy video on giving yourself a salon-quality blowout. One of our biggest requests we have from clients right now is “transition pieces, please!” It’s that time of year when fall is on the mind, but the thermostat is still bursting. Layers are still out of the questions, but here’s an easy way to take a great tunic and transition to fall, while still savoring those last few sweet drops of summer. We love this Piko1988 Tunic ($59) paired with the Joe’s Jeans Honey ($158) and the Steve Madden “Bride” ($79). The look is simple, easy to pull off and both the tunic and jeans can be worn all year-round. How do I make this tunic work for early fall when it’s cold in the morning and hot by the afternoon? Take the Tunic and denim into Fall: Pair the tunic and denim with a heavyweight twill jacket like this one by Freebird and add a fabulous pair of boots by Seychelles. Pair the striped tunic with a heavy pair of heather gray leggings, boots and the ever popular surplus jacket. 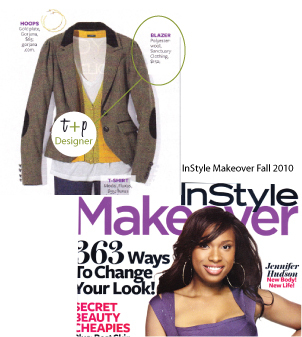 T+P Designer, Sanctuary, is featured in the latest issue of InStyle Makeover. The Elbow Patch blazer brings a collegiate sensibility to soften the otherwise hard-edged trends for fall. Pair this blazer with dark straight denim and riding boots to embrace the lecture hall life or consider teaming up with a full skirt and heels to create a creative and feminine look. Actress Sophia Bush puts popular retail chain’s “pro-anorexia” message on blast. Check out Ali Fetedowsky’s bling! The Bachelorette, (now engaged) said yes to Roberto on Monday and was presented with this lovely ring. We would say yes to that too! Jersey Shore’s Snooki on the cover of the New York Times Style Section – Trendsetter or train wreck? 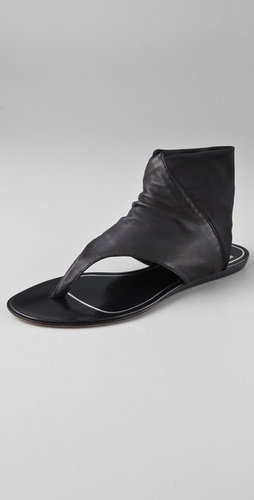 Dying for a good pair of these that don’t cause cankles! T&P denim designer William Rast (founded by the fabulous J. Timberlake) will be debuting a cheap yet chic collection for Target this winter. The Jolie-Pitt clan is seriously going to rule the world in about 15 years. Their small army of six is too cute for words and they each have their own personal style (or so it seems). I don’t even have as good of style as these 6-year olds! Check out this great article on the 7 wardrobe essentials that will help build and shape your closet. I have 4 or the 7, not bad! Jersey Shore season 2 starts tonight, and since the Guido/Guidette craze has been so successful, we decided to change our style up here in the Tog + Porter office! Sanctuary’s Olivia Vest was featured in In Style! Sanctuary is one of the vendors that we work with and we are excited they are getting the attention they deserve! Check out this great article by Forbes.com on 10 Office Fashion Dont’s. There are some pretty good tips here! Ripped jeans = NO! 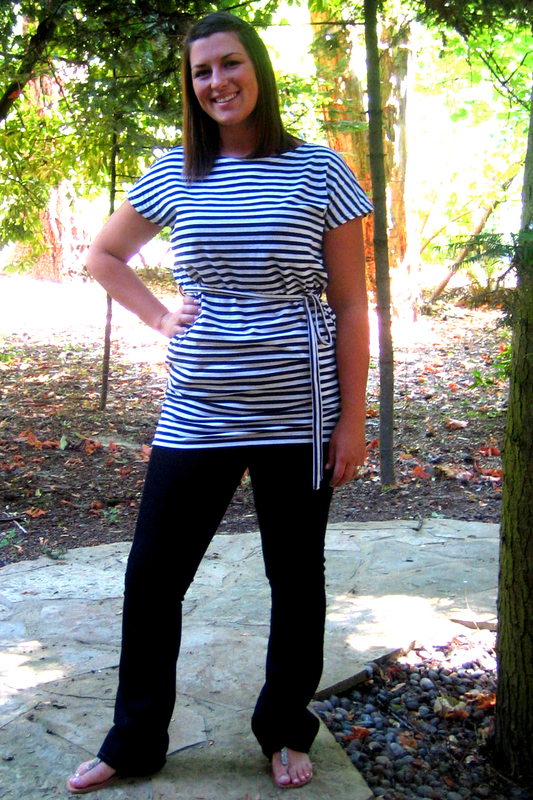 Fashion Captive, a blogger that we like to read, is doing a closet challenge! We think this is a great idea, because so many of us get caught up in wearing the same four or five outfits. My rule: If I haven’t worn it in 8 months – toss it! Joe’s Jeans, one of our go-to denim vendors, is getting some attention from ABC Family’s new hit show Pretty Little Liars (yes, I watch it!) We just love these photos, they are stunning. We are starting a new weekly post in which we share some of the interesting links and articles that we have come across during the week! Look for it every Thursday evening/Friday! As a Portland native, I feel like I know a lot about the city. However I had NO idea that Portland had its own fashion week! 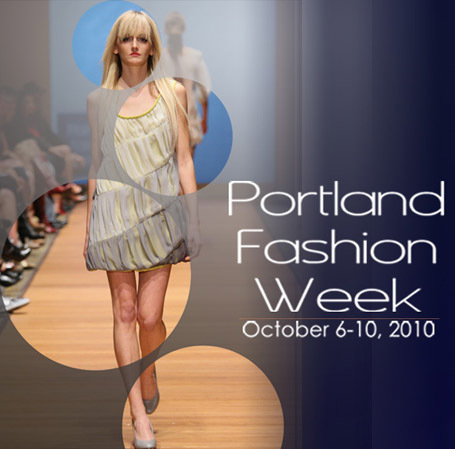 Here is the youtube channel for Portland Fashion Week, it’s pretty cool! Mad Men starts in a week! Check out one of my favorite blogger’s take on Mad Men fashion. BEAUTIFUL! Not only can you try to channel Mad Men in your closet, do it in your home as well! Look at this piece that Apartment Therapy did on Mad Men-ifying your home. Fashion on your Fingertips – Too Much? 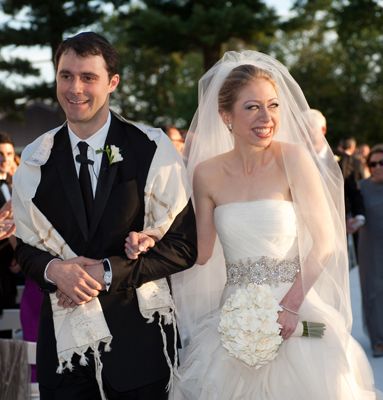 I LOVE that this woman’s “something blue” on her wedding day was her Louboutins… SO sassy. Florals and Prints and Colors…Oh my! The Cargo Skinny: Yay or nay? Welcome New T+P Stylist Maureen! How We Style It…Coming Soon!